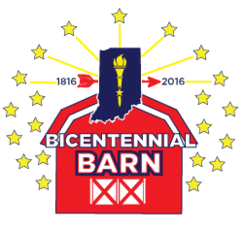 2016 Indiana Bicentennial Barn Top Ten! 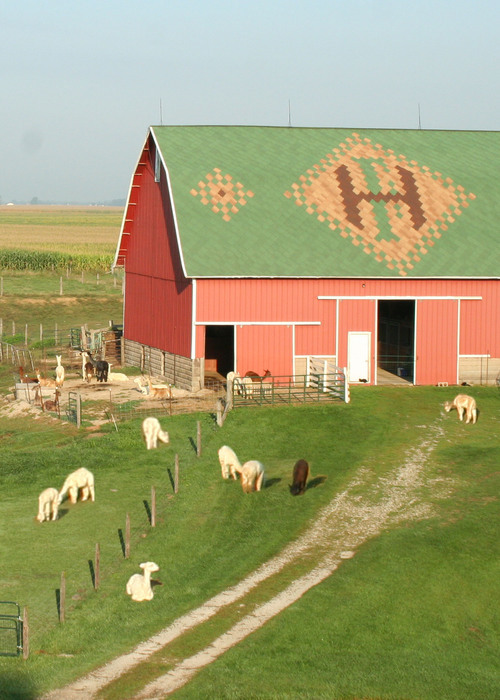 Indiana celebrates its 200th anniversary as the 19th state in 2016. Last year, a contest was launched to honor Indiana's rural heritage and its future by recognizing barns. 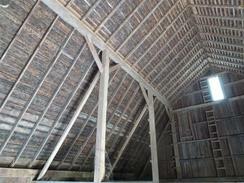 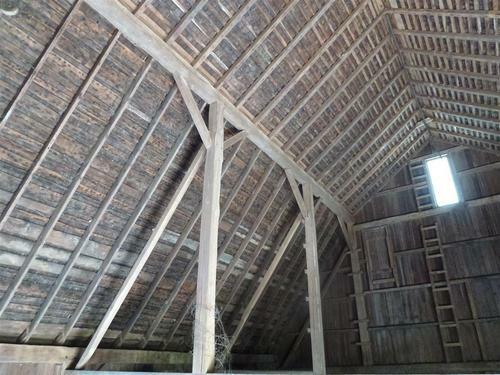 Any Indiana barn that was built prior to 1950 was eligible. 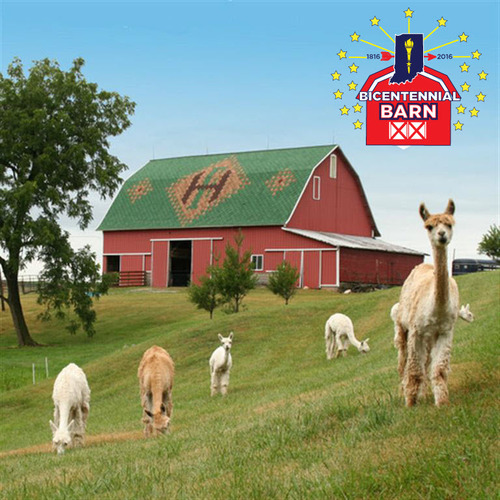 The over 200 entries that best celebrated Indiana's classic barns and their impact on our economy and history were considered. 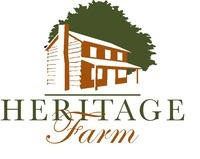 From those entries, 10 were selected as examples possessing architectural and historic features, aesthetics, character and condition, geographic distribution and construction demonstrating Indiana's best. As visitors approach our farm on County Road 400 , they have no doubt that that have arrived at Heritage Farm Suri Alpacas. The big red gambrel barn with the brown Suri on the roof beckons them to investigate the real alpaca treasures inside. 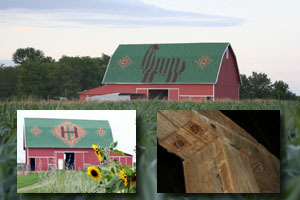 The barn is one of three historic structures on the farm (the others being our federal style brick farmhouse and the 1850's hand-hewn log cabin featured in our winter 2006 newsletter). 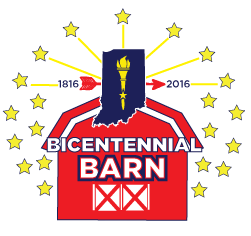 A complete listing of the Bicentennial Barns can be found here.